Elektron’s machines are so beloved, they’re almost an electronic instrumental category all their own. But much of that love is focused on the hardware workflow. The challenge lately has been how to make the latest generation of Elektron hardware fit better with other gear – and specifically, the computer. Some of those improvements are coming from Elektron. But some, too, come from third-party developers. And that’s the case with a useful Mac app. This one will be really easy to write up, because the app is – as it should be – stupidly simple. Take a sound. Drag it to a pad. It loads on the pad. That’s it. The app handles all the file conversion and loading and configuration for you. An upcoming version, provided in advance to CDM, also does batch transfers. This isn’t the first time a third-party developer has done something like this for Elektron. In fact, the last time, it was the same developer – Jakob Penca, with the lovely iPad app STROM, seen here previously. There’s some cool non-obvious functionality. Drop audio, and you get Elektron-native audio. Drop video, and it extracts the audio and converts it. But drop an unsupported file – like an image – and you’ll get noise as it encodes that data directly. Very, very cool for building glitchy pad sets. The app is ten bucks in the Mac App Store. This sort of feature – direct sample loading – is coming to Overbridge. But there’s no reason to wait for that, when this is available now for this price. And I imagine that movie and non-audio data support might not make it into Overbridge, either. Updated: In comments, readers point to the US$99 OctaEdit. 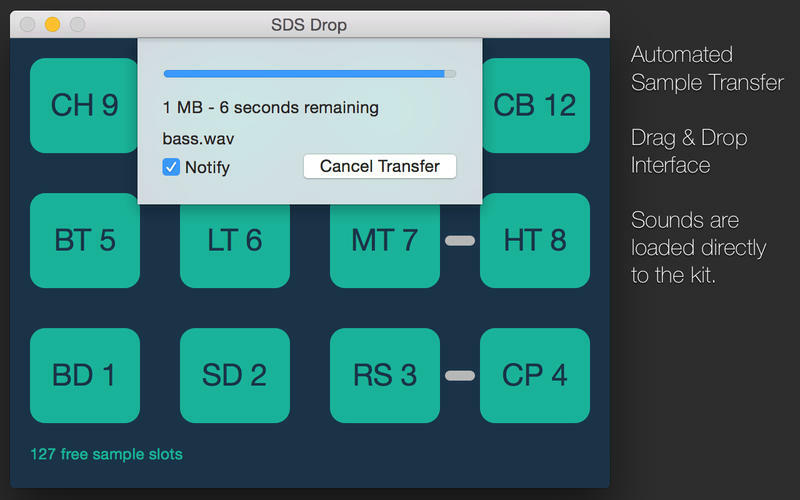 I love the simplicity of SDS Drop, but OctaEdit gives you more power … I could easily imagine using both. Copy and merge Banks, Patterns, Tracks, Part, Scenes etc between different Sets and Projects. Library to store presets of virtually any aspect of the Octatrack, from Project settings to Machine configurations to FX Chains. 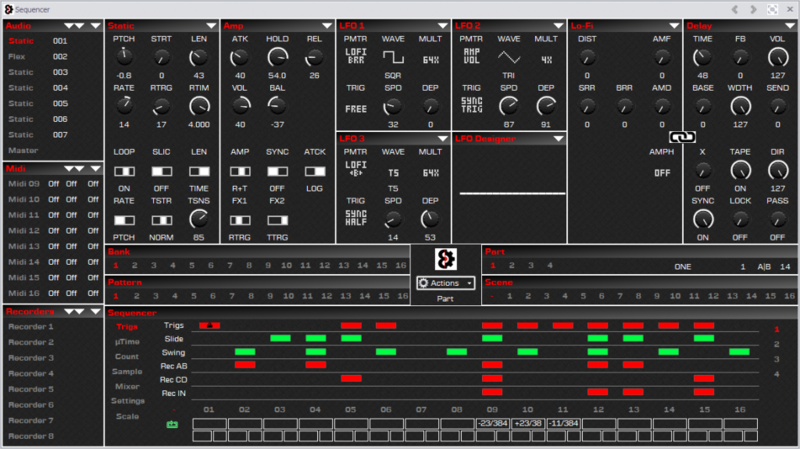 Sequencer module exposing every element of the Octatrack. Chainer module to create Sample Chains. Now, sure, readers are also complaining that they aren’t getting this support from Elektron. On the other hand, once you’ve invested in the hardware, these software add-ons surely don’t cost much. And I think third-party developers may always have a different take on how to do things than the original manufacturer, which sometimes is refreshing. The banner feature is, Overbridge is no longer limited to Ableton Live. That was certainly the most popular DAW pick, but Elektron users use a lot of other DAWs, too. There’s also sidechaining and multiple outputs in AUs, plus improved performance and a better UI. In fact, this is more like 1.5 than 1.1. Meanwhile, Analog owners get free-running LFO modes, because you don’t always want to sync, and some cool sequencing features.